A study concludes that consumers searching for a nursing home should consider the ratings from Yelp and government sites such as Nursing Home Compare to get a complete picture of a home’s quality and care. Yelp reviews of nursing homes tend to focus more on staff attitudes, staff responsiveness and the physical facility itself than government reviews, a new USC study finds. Rahman and a team of six other researchers evaluated 264 Yelp reviews of California facilities and grouped them into five categories: the quality of staff care and staffing, physical building and setting, resident safety and security, clinical care quality and financial issues. Just over 53 percent of the Yelp reviewers posted comments about staff attitude and caring. About 29 percent commented about staff responsiveness. Twenty-five percent discussed matters with cleanliness. Nearly 14 percent rated issues with meals. The study was published on April 20 in the journal The Gerontologist. 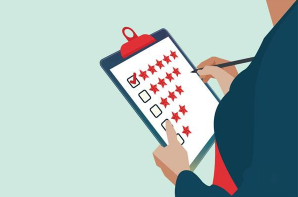 Last November, Rahman and a team of researchers published a study in BMJ Quality and Safety that showed nursing home Yelp reviews tended to be more negative than those on the federal ratings website, Nursing Home Compare (NHC). Both sites use a five-star rating system, with one star the lowest rating and five stars as the best. There are pros and cons to each rating system. Recent news reports and studies suggest some nursing homes game the government system, receiving multiple stars regardless of citations or staffing levels. Yelp, on the other hand, is sometimes criticized for fake reviews and ratings. Valeria Cardenas, a study co-author and an incoming doctoral candidate at the USC Leonard Davis School, said that consumers are probably looking to determine how their loved ones will be treated. “I would be worried if there was a review that said that the staff isn’t responsive or they didn’t take care of my father when he had rung the bell,” said Cardenas. For the study, the USC Davis School research team used data collected in 2014 by the California Office of Statewide Health Planning and Development. The researchers drew a geographically dispersed sample of 51 skilled nursing facilities, small and large, that had been rated on both the federal site and Yelp. Small facilities had, on average, around 58 beds while large ones had about 116 beds. The team’s research confirms prior studies showing that Yelp reviewers tend to focus on subjective experiences of health care, such as a reviewer’s personal assessment of staff attitudes, the physical setting or the cost of care. The USC gerontologists noted that such aspects of nursing homes are not rated on the federal government’s Nursing Home Compare site. Instead, the federal site focuses on matters such as staffing levels, clinical issues such as infections, and the use of restraints for some patients. What is important for nursing home residents and caregivers? Nearly 15 percent of the Yelp reviews mentioned whether their loved ones worsened or improved while at a particular nursing home. Study co-author and USC incoming doctoral candidate Yujun Zhu said the study emphasizes the importance of turning to multiple sources to make a well-informed decision for nursing home care. The qualitative study received no special funding. Other co-authors were Susan Enguidanos, Kayla Johari, Caitlyn Kellogg and Katalina Vazquez — all from the USC Leonard Davis School.